NKU's Mate Virag and his teammates competed in the ITA Regionals, wrapping up the fall tennis season. The NKU men’s and women’s tennis teams wrapped up fall play last weekend at the ITA Ohio Valley Regionals. On the men’s side, Mate Virag and Lukas Clemens lost their second round doubles match to Alex Gornet and Jeffrey Brown from Louisville. 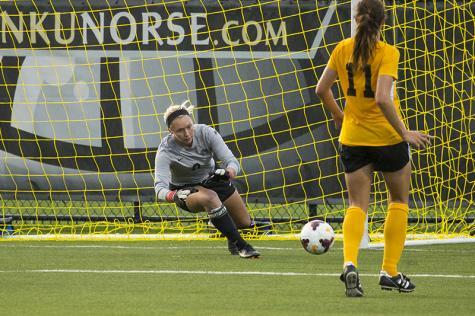 NKU picked up some consolation victories on Saturday. Jody Maginley defeated Alejandro Manzanares of Lipscomb. Virag crushed David Hess of Murray State. Court Clark defeated Chad Woodham of Austin Peay. On the women’s side, Klara Skopac dropped a tight match to Purdue’s Nicole Robinson, 7-5, 7-6(6). She would win her consolation match against Sara Sherif of IUPUI, 6-2, 6-3. Teammates Hailey Shanahan and Danielle Donahue also competed in the event. The tennis season will resume in late January for the spring season. The NKU men’s golf team finished tied for 11th in the Dayton Flyer Invitational Monday and Tuesday in Kettering, Ohio. NKU shot rounds of 310 and 314 to finish 56-over. Clayton Portz was top NKU placer, shooting a final-round 76 to finish tied for 26th. Logan Gamm finished two strokes behind Portz, tied for 37th. Jacob Poore and Jackson Frame were tied for 46th and 55th, respectively. Jacob Brinker matched Frame’s score for a tie for 55th. 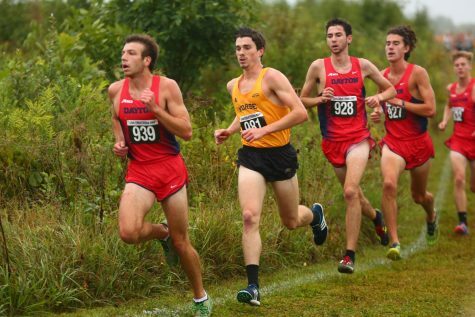 The men will return to action in February at the Houston Baptist Invitational. The NKU women shot rounds of 322 and 320 to finish eighth at the Dayton Flyer Invitational. Sarah Kellam finished tied for 16th at 16-over to lead the Norse. Ryleigh Waltz and MacKenzie Laumann were both 10-over in their final rounds. Waltz finished tied for 33rd, while Laumann finished tied for 57th. Allison Leigeb finished tied for 40th for the Norse. The women return to action Monday for the Charles Braun Intercollegiate in Evansville, Ind. 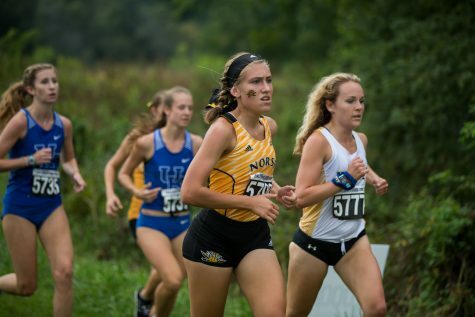 The NKU men’s cross country team finished 29th in the Men’s Black 8K at the NCAA Pre-National Invitational. Michael Mangus paced the Norse with a 107th-place finish in 25:32.30. Izak Velasquez was 131st in 25:45.00. Caleb Agustus (144th), Tristan Tapia (168th), Cole Grecco (188th), Keith Prive (191st) and Tyler Mowery competed for the Norse. 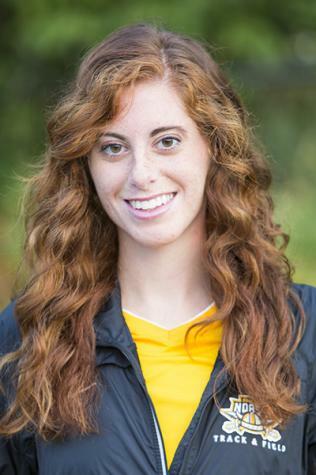 The women placed 32nd in the event. Kelly Burrows was the top Norse runner, finishing 112th in 25:32.30. 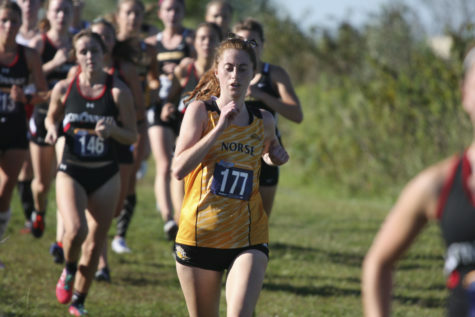 Also competing for the Norse were Hannah Tobler (155th), Jennah Flairty (171st), Kimmy Wolfe (183rd), Jessica Tegge (186th) and Catherine Finke (220th). Both teams will return to action Oct. 31 for the Horizon League Championships.